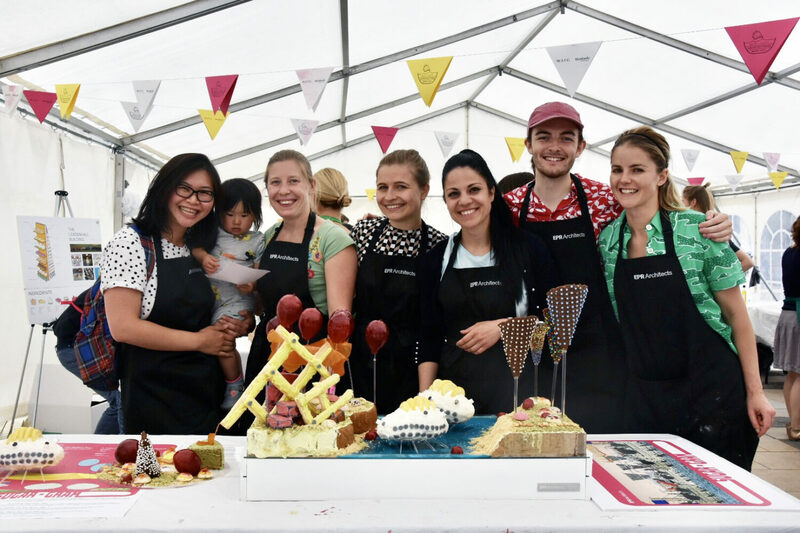 A huge congratulations to our very own star bakers who took part in WAT’s ‘Great Architectural Bake-off’ as part of this years London Festival of Architecture. The event, held at Guildhall Yard, saw more than 15 teams representing various architectural practices from across London as they competed to win over the judges and general public with their mouth-watering creations. Designed by EPR Architects, Sugar-gram is an edible ode to Archigram and its influences on the current built environment of Great Britain. It attempts to find a playful solution to an apocalyptic attitude in the wake of city congestion, radical politics and population density. Laced with delicious flavours including Gin and Tonic Sponge, Cardamom Biscuits and fresh Mango Roll, the final creation was topped with blown sugar balloons which wowed the crowds. Well done to all involved!